Hi all, this week has been exciting and I have thoroughly enjoyed some new adventures. 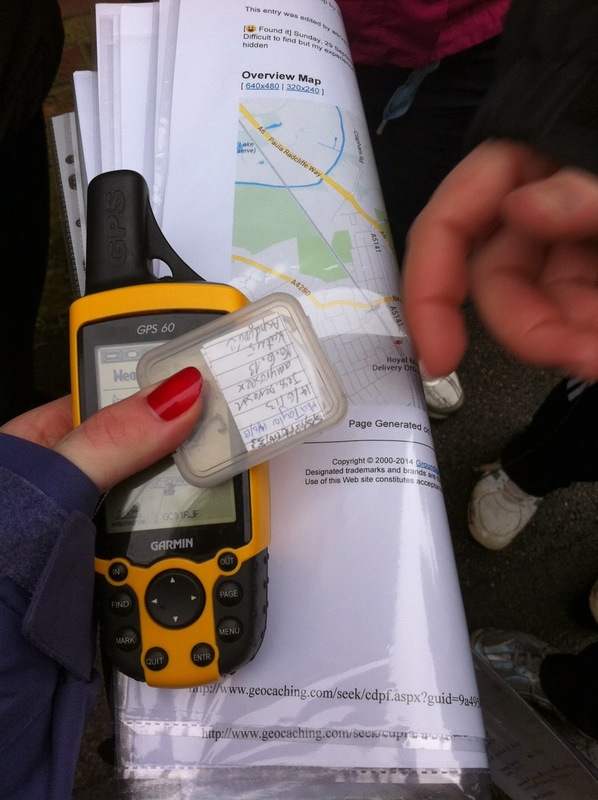 This morning we spent our practical O&AA (Outdoor & Adventurous Activities) class outside in Bedford Park; Geocaching! 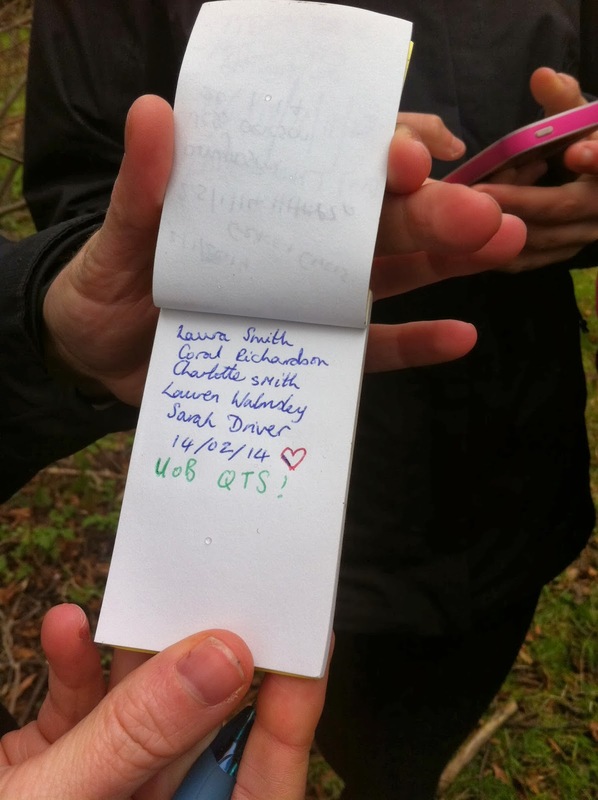 For those of you who haven’t heard of Geocaching, it is referred to as a “real-world treasure hunt.” It’s like a huge game of hide and seek, hence the tittle. 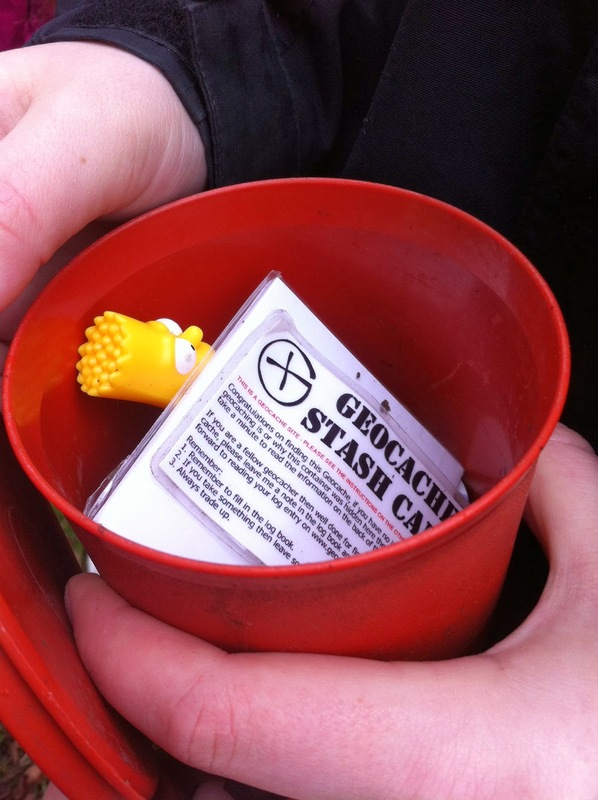 There is said to be about 6 million active Geocachers’ worldwide. It was great to explore the outdoors and there are many caches hidden just within a few hundred metres from campus- there is bound to be ones near you too, I urge you to have a go, its great fun. We thought about how we could incorporate this activity into our teaching, but it is also fun for all the family. 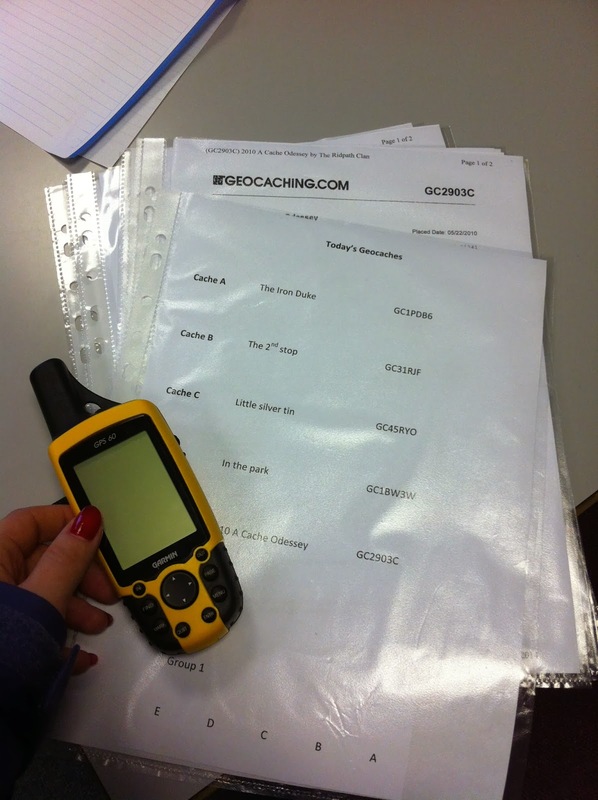 Attached are some photos of our finds, the GPS system we used and the signed log book. 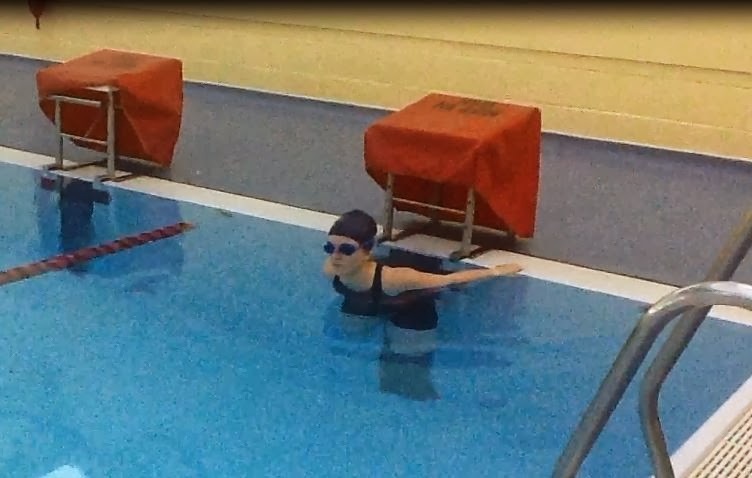 This week has also been great for my Swimming progress (that’s where the ‘W’ comes from in the tittle.) For those of you who read my previous blogs you may know that when I arrived at University I wasn’t a strong swimmer, it wasn’t that I didn’t enjoy it- I love water, I just never had the access. I have made it my goal to improve over the 4 years undertaking my degree and so far…it’s going well. This week I received my grade from the Synchronised Swimming assessment we did in January and I got a (B+) this is such an achievement. Maybe by year 4 I can reach that grade A. I attended my weekly improvers’ class with a lot more motivation, knowing the hard work is paying off, and swam 12 lengths. This is a working progress but I am determined to improve. There are certainly many new opportunities here at UoB and I am enjoying learning more about myself in the process. Hi all, my week has been very hectic! I have had numerous assignments due in and have found the approaching deadlines pressurising but they are now all submitted, until next month, so it is now time to focus on my exams before I go on placement in April; my favourite part of the year! I am enjoying the new units on my course; we did “Jitterbug” in Dance today which was thoroughly enjoyable and last week I was in an Outdoor Adventurous Activities (OAA) lesson where I found myself climbing up the side of a bench which was only held up by fellow students, about 10ft in the air, and standing on the top, arms out to the side, without support- I love a good challenge and adrenaline rush! I also enjoyed the Christian Union Society this week, we have had a great time exploring faith and fellowship on campus and we are continually growing in numbers which is great to see. OPEN a new chapter…by this I am meaning new opportunities and new beginnings. For those of you hoping to study here I would say come along to an open day. If I am honest, I never had chance to attend an open day here- the distance from home was a little too far during the time I wanted to go, I was however quite fortunate in the sense that for PE QTS you have to attend an interview day and during this time I got a tour from a current student who was undertaking the same degree, this was very informative and vital. This is not true for all courses so I urge you to come along if you can and gain a real sense for the campus and surrounding area, after all you will spend 3/4 years of your life here. I wish I did attend. Recently I became a Student Ambassador here at the Bedford Campus and part of my role is to give tours around the campus especially on open days. 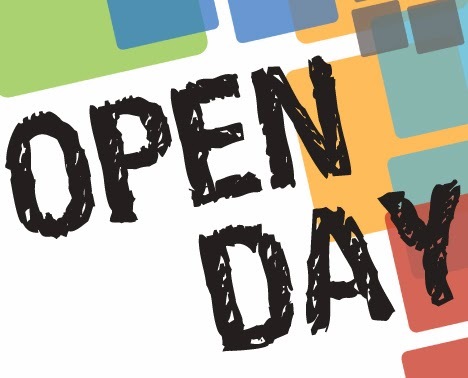 I have now seen how valuable a tour can be, and how valuable an open day can be, it gives you a chance to speak to current students, ask questions that you may not feel comfortable asking staff members and you will certainly get an honest insight into life here. 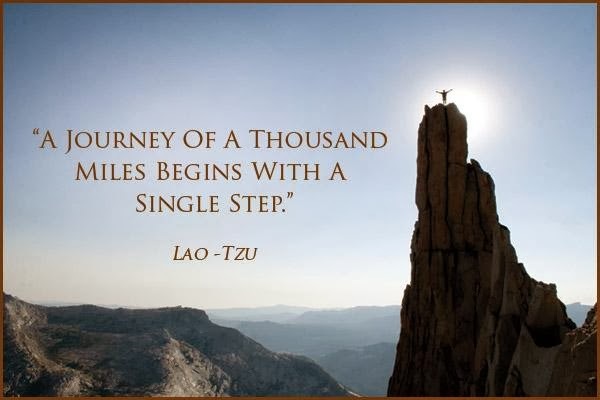 “A journey of a thousand miles begins with a single step”- Lao Tzu. Hey! My name is Steph, I'm 22 years old and a 2nd year Sport and PE student at the University of Bedfordshire. I am a keen badminton player and coach, which I am heavily involved in at University, but I also sing within 2 choirs. 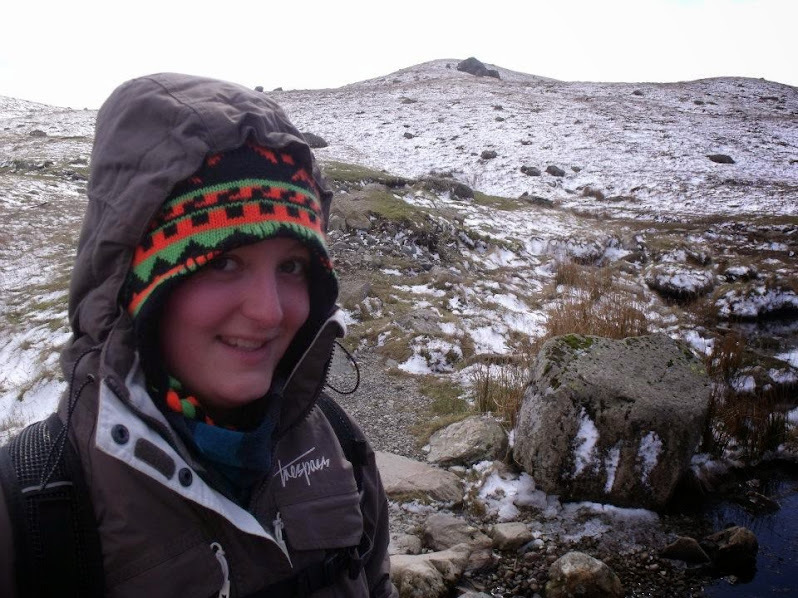 I plan to use this blog to share with you my University experiences, from studying, playing sport and socialising to specific concerns I had in the run up to coming to University and how I overcame them. I am actively involved in the sport science labs, pedagogical research and PAL at the Bedford campus so stay tuned for more information on all of those! If there is anything in particular people are interested in knowing then please do not hesitate to contact me and I shall see what I can do! I plan to include some pictures, videos and potentially other technological wonders (once I've worked out how to do it!) to mix it up a bit too!